Kathy Hession has a gerbera named after her! Kathy Hession has worked as a Supermarket buyer and manager for many years and it was great that she gets some attention from the industry. I especially loved the part when they open a bottle of Champagne to toast and she pours it over the flowers. “Kathy”, a new variety of a Gerbera, grown by Florist Holland B.V., was named for Kathy Hession,Vice President of Bakery and Floral of Roundy’s Supermarkets, for her contributions to the floral industry, at the 27th edition of the International Floriculture Expo, the industry’s leading floriculture trade event. Michael Schrader, Floral Director of Schnucks Markets, and Cindy Hanauer, Founder/CEO of Grand Central Floral and 2012 Flower Naming Recipient, announced the honor, lauding Ms. Hession for her contributions to the floral industry. “This year’s nominee [Kathy] has been involved in every aspect of the floral industry, being an active contributor and supporter throughout her entire career. There is not one supplier, grower, farm or retailer she worked with or for that doesn’t have a story about how she helped them improve and grow their business,” said Ms. Hanauer when announcing this year’s honoree. “A Gerbera has amazing versatility and flexibility – it can be a beautiful standalone flower or a part of a stunning bouquet. This amazing, vibrant red Gerbera represents Kathy Hession perfectly. With the same versatility and strength of a Gerbera, Kathy continues to pioneer, inspire and grow the floral industry today,” said Ms. Hanauer in regards to her contributions to the industry. Florist Holland B.V., the Gerbera breeding and propagation company for the Netherlands and member of the Royal Hilverda Group, has registered this new Gerbera name at the Foundation Floricode. 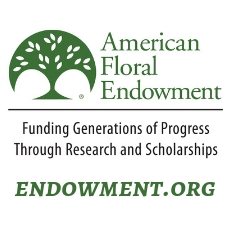 International Floriculture Expo (IFE) is produced by Diversified Communication of Portland, Maine. This show is the only industry-wide event that brings buyers and sellers together and serves all segments of the floriculture process. 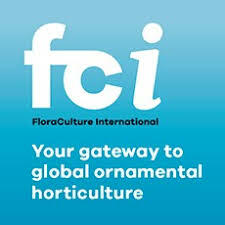 IFE is the leading trade exposition and educational conference for mass market retailers, supermarkets, garden centers, retail florists, growers, nurseries, event floral designers, and other retailers of floral and foliage products. Admission guidelines are enforced to maintain the integrity of the buying audience. The 27th edition of IFE takes place June 10-13, 2014 at the Morial Convention Center in in New Orleans, LA. Diversified Communications, based in Portland, Maine, US provides information and market access through face-to-face events, publications and online. Diversified serves a number of industries including: floral, seafood, foodservice, natural and organic, healthcare, commercial marine and business management. Diversified operates divisions in Australia, Hong Kong, India, the UK and Canada.